Going to rehab doesn’t always cure your addiction. Instead, you must put in work for your recovery. This work is rewarding, as it forms a clear path to a brighter future. Following rehab with aftercare keeps you focused on your sobriety with valuable support, resources, and education. After alcohol or drug addiction treatment, you will feel ready to take on the world. At the same time, you will likely feel fearful of slipping out of recovery. This is why it’s so important to engage in these after-treatment programs. Preventing relapse is the primary goal of post-rehab programs. Some people choose to participate in group therapy, or individual counseling when they go back to their home communities. Program benefits include referrals and other types of useful support that will keep you engaged in your own aftercare. 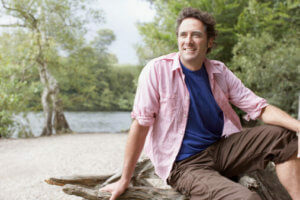 Sober living is one of the most popular and beneficial types of post-rehab care. It places patients in transitional living homes where they live with other recovering people. Patients sharing the house and responsibilities relearn how to maintain their daily schedule, meet work obligations, and take care of themselves before living in their own homes. Sober living homes are a safe haven for people in recovery, one where sobriety is a top priority. These homes are comfortable and provide supervision with fewer restrictions than traditional residential treatment. Some people in outpatient treatment or PHP programs also choose to benefit from sober living, so these homes are not exclusively for inpatients. In sober living, each individual must take responsibility for their life and chores. Everyone contributes to maintaining the home in the same way members of a family work together. Residents hold each other accountable for household chores while maintaining their own sobriety. There are rules in sober living, but these rules are designed to help residents rebuild their lives for long-term recovery. In sober living, you’ll have the opportunity to develop lasting relationships with your roommates. Living with others is never easy. But together, you can learn from each other and find new, healthy ways to socialize soberly. Healthcare professionals today realize that relapse is part of recovery. Many people in recovery experience relapse and should not feel ashamed as they work to get better. Patients who are especially prone to relapse are those with co-occurring mental illnesses. Recovery experts know depression, anxiety, trauma, ADHD, and other disorders can lead to substance abuse. If you have a mental illness and don’t practice self-care, the path to relapse is a short one. In aftercare, patients are able to gain healthy support and counseling they can count on to prevent relapse. When one member of the family suffers from addiction, the whole family suffers. Aftercare can provide family members with the support they need. Your spouse, parents, children, and other central figures can gain counseling, education, and resources that lead to a healthier family unit. As someone living with addiction, you have likely heard that taking the first steps toward recovery are the hardest steps you will ever take. But these steps can be easier by knowing you are not alone in your fight for recovery. At 1st Step Behavioral Health in Pompano Beach, Florida, support carries through from your first phone call, into rehab, and into your aftercare sober living program. You are never alone in your addiction when you seek the recovery you need at 1st Step Behavioral Health. Contact 1st Step Behavioral Health now at 866-319-6126. By calling, you will see how support and therapy will help you strongly recover. Take this step now and find the support you need for a better life.